Most of us aren’t fortunate enough to be born into wealth. Some of us even started the journey to early Financial Independence (FI) in poverty, or with a boatload of “good” debt (college loans). Regardless of how you got started, the important thing is that you’ve made the conscious decision to give early FI a shot. Reaching the end game won’t be easy. It will require a ton of dedication, will power, persistence, and conviction. Each day provides another opportunity to make progress to help bridge the gap between now and financial freedom. Because the journey can be so grueling and long, it’s understandable why so many give up and quit along the way. Life happens, and sometimes you’ll feel like you’re taking 1 step forward, and 2 steps back. That’s not what you signed up for when you first started the journey! But if this happens, take solace in knowing that frustration and anger are natural emotions. It happens to EVERYONE when things don’t go as planned. That doesn’t mean you aren’t making any progress! Just like with the stock market, not every year of your journey will end with positive gains. That’s just the reality of investing… but you must keep at it, despite rain or shine, because the long-term rewards are worth it. In this case, continual investing and re-investing into quality assets will eventually lead to early financial independence. You must learn to be patient, and realize that the journey to early FI takes many years to accomplish. Most importantly, you must learn to give yourself credit for all the progress that you are making along the way. Initially, those incremental, day-by-day gains won’t seem like they add up to much, but one day, you’ll look up, and realize there’s nowhere else to go. You’ll have reached the top of the summit! Anyone who has ever dedicated themselves to a rigorous workout program knows that if they keep staring at themselves in the mirror every minute of every day, they will look EXACTLY the same. However, to your friends and peers, you’ll start to look noticeably different. Further, anyone who hasn’t seen you in a long period of time will marvel at the amazing transformation you’ve got through. The only way to really know how far you’ve come is to look back at old workout logs, or photographs, which cannot hide the truth. Investing towards financial independence isn’t any different. As long as you are documenting your progress through net worth reports, cash flow statements, monthly savings ratio, goals list, etc. you’ll see for yourself, point blank, all the wonderful progress you’ve been making. If you earned $50/month more in dividends this February compared to last February, give yourself credit! It might not seem like much initially, but realize that you now have $50/month more in passive income than you did at this same time last year! Focus on the positives, and don’t dwell on the negatives. Maybe life got more complicated for you this year and you weren’t able to save as much as you wanted… The fact that you still saved SOMETHING is an accomplishment in itself. Don’t be too hard on yourself. You made progress and are one step closer towards reaching financial freedom. Also, remember that progress always comes SLOW at first. Just keep at it and things will get easier with time. Go Out and Celebrate Your Victories! I love to give myself credit whenever I close a deal on a rental property. You should give yourself credit too. Closing escrow always puts me in a euphoric state because I realize that my monthly cash flow numbers will be increasing as soon as I get the property leased up. That’s progress that’ll take me one step closer to early FI! So, for all the hard work, I feel like I owe it to myself to go out and celebrate. On the same day that I wire the money to the title company, I make sure to go out and have a “fancy” dinner. No, I don’t overindulge and eat at a super expensive steakhouse, but sometimes I do get steak! I typically go out with a buddy or family member and spend a good $100 on dinner. We get appetizers, big entrées, and of course, dessert! For most people, it’s not every day that you get to buy a property. So, instead of worrying about all the “what if’s” that could happen to the property after closing, put all the worries and negativity aside, and just focus on enjoying yourself! Even if you’re super frugal, you should still find a cheap way to celebrate. It’ll be worth it… and good for the soul. An occasional celebration will not only relax you, but it will give you a confidence boost to go out and find that next deal. For myself, it gives me something to look forward to. It can’t be all work and no play, right? So, once I close Rental Property #5, I’m looking forward to going out and celebrating again! We can’t all be perfect, and eventually, there will come a time when we make a bad investment decision. Did you purchase a stock you now regret buying? Did you pay too much for your latest rental property? It happens. But realize that every investor who has ever invested for a long period of time has also made a “big” mistake. The important thing is to learn from your mistakes and try your best to not repeat them in the future. That’s all that you really can do. Formalize an action plan to correct for any mistakes, implement it, and then move on. Your energy is limited, so make sure to focus it on continual improvement, instead. Look for the next investment, and next good deal. Take the loss in stride, and move on. Don’t be the investor who quits just because they made one bad decision. At worst, you made a mistake and learned something. That’s still progress, so again, give yourself credit! When the market crashes, it’s the investors who are left holding the bag. In many cases, these market crashes are spurred by macro-economic events that are beyond our own control. In other words, what just happened… happened, and there probably wasn’t anything you could have done to prevent it from happening. Just like with making a bad investment decision, don’t overreact or quit just because you now find your portfolio sitting deep in the red, or you investment properties worth half of what you paid for. The journey to early FI isn’t a short one, so keep on pressing on. Instead of panicking, use the market correction (bottom) to load up on even more investments. When you work with the end game in mind, you already know that the quickest path to early FI is through rapid asset accumulation. And it’s always better to load up when things are on sale (2008-2012). So, stock up on as many assets as you can in these dark times. Years later, your progress will seem staggering! You’ll look back and give yourself all the credit in the world for having the conviction to keep on buying, in spite of all the intense turmoil! The journey to early FI is by no means short, nor easy. In order to succeed, you must be able to glide through the tough sledding that will invariably show up. This means that your spirit must stay strong and resilient throughout. Getting to early FI involves overcoming many obstacles… you shouldn’t have to fight yourself in the process. That is why it is so important to remember to give yourself credit for all of the progress that you are making. So, try to enjoy the ride, and you’ll get to the summit sooner (and with less struggle) than you realize. Give yourself credit for incremental progress, go out and celebrate small victories along the way, don’t overreact to mistakes, and make your most PROGRESS when times are bad. With the right mindset and a never quit attitude, you’re bound to get there sooner or later. Keep at it, and I’ll see you at the top! FI Fighter is an early financial independence seeker who aims to get there by 30. This day will arrive when the passive income and semi-passive income streams bring in more each month than is needed to pay bills. Let the journey continue! 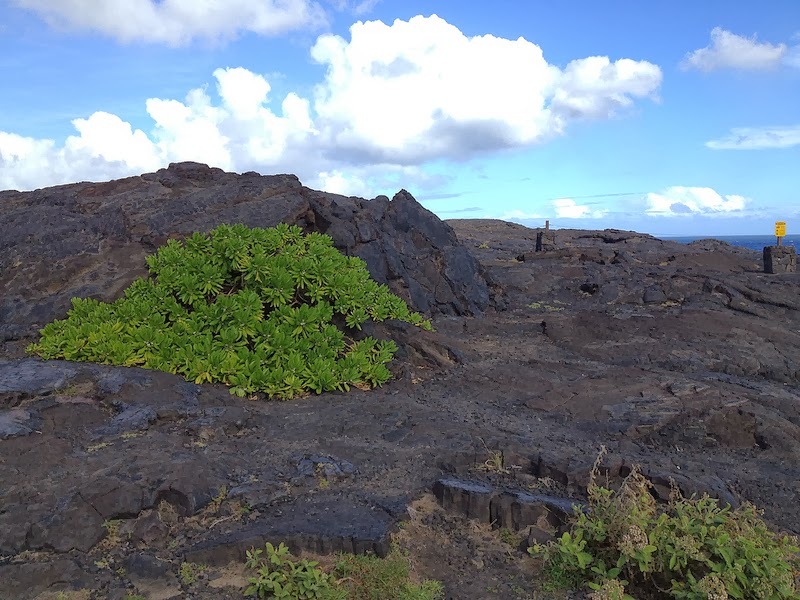 *Photo of Volcanoes National Park is from Coleen McNeil at Flickr Creative Commons. I've yet to put much thought into celebrating the smaller victories, I am hoping that there will be quite a few this year though (reaching £100k Net Worth, maybe buying a first rental property for example!). It's really quite exciting when you start thinking about it actually! Getting to $100k this year would be an awesome accomplishment. Yeah, I agree the journey to FI can be really exciting. It's not just about the final destination. Looking forward to following your progress this year! Yes, mindset is so important and can make or break your journey to early FI. Losing money is always tough to swallow, but where some see fear, others see opportunity. I also remember when my retirement plans were regularly losing $10k here, $20k there... After about a year or two, my portfolio was worth half of what I contributed. Still, I kept at it and today I'm glad I didn't stop contributing. Losing $30k in a month can't be easy, but you are a seasoned investor who has conviction in what he is doing and knows that this type of market behavior comes with the territory. Long term, you will be just fine. If I had some more funds available, I'd be looking at making some stock purchases as well. Pullbacks are the best time to be investing. It is really difficult to keep the big picture in mind sometimes, especially when you're starting with debt. In my case, my boyfriend and I have student loans we need to take care of, even though I would love to start saving more for retirement. However, I know that we're starting earlier than most did, and it will pay off eventually. Yeah, starting off with debt isn't easy. I started off exactly in the same situation... If you have a big picture in mind, though, it helps give purpose to everything you are doing. Even if investing towards retirement is difficult right now, just keep at it, and things will become that much easier later on. The fact that you are even thinking about this now puts you miles ahead of most people. Yes, keep at it and all the hard work will pay off! Thank you SO much for this, FI Fighter. We are just over one year into paying off LOTS of debt, and working toward FI. The days drag on HUGE most of the time. Thanks for this encouraging post - it was a tremendous help to us today! Thanks! Glad you found the post helpful. Congrats to you for all the progress made in paying down the debt and working towards FI. I wish you the best of luck. You can do it!! From several different sources (in this case fundx.com), "Of the 780 rolling 20 years periods from 1925 to 2010, there has never been a 20-year holding period when the S&P 500 lost money." As I've said many times, buy low-cost passive index funds in an asset allocation that is good for your age and need to take risk. Then stay the course. Yup, I'm a big fan of low expense ratio, passive index funds. I have them in my retirement accounts, and don't do a thing. I monitor them maybe twice a year and leave them running on auto-pilot. Can't complain about the gains, because in the long run, the stock market always recovers and performs... historically, anyway. I'm all about celebrating the gains, no matter how small. This is a great reminder - thanks! I'm all about celebrating the little wins in life. If it wasn't for that, I probably wouldn't have had persisted along my path toward financial security. Yup, slow and steady wins the race. Those little wins, over time, begin to add up and end up creating something extraordinary. Keep at it! Achieving financial security is not something you will ever regret! Couldn't agree more. It's a struggle some times because I want to reach FI now but I have to keep reminding myself that it's a journey. You can't run a marathon in just 2 steps, it's the thousands of steps along the way that get you to the finish. Yeah, I definitely hear you on that point. There are too many days when I just don't want to drive into the office, and would so much rather be doing something else. The only way I've been able to help that is to take more extended vacations each year. Throwing in a nice, long break does wonders in making the daily grind more tolerable. Just gotta remember that slow and steady wins the race. You'll get there in no time with your combination of high income and insane savings rate. Just keep at it! I totally agree with your post, particularly the part about how the early benefits can seem small, but if you keep going then all of a sudden the difference is apparent. I also like your comment about reaching the summit, as this echoes with a recent post about teaching FI being like climbing a mountain. Yeah, it many ways I look at FI in the same way as climbing a mountain... Maybe not even a mountain, but a long hike even. I go hiking quite often, and there are so many times when I don't want to keep going uphill, and it feels like a total struggle. Then you really start going, getting a second wind, and slowly but surely, you reach the top. Usually at that point, you forget you are even tired and kind of have a hard time believing you managed to make it all the way to the top... So, just gotta keep plugging away!